This marinade is so delightful and fresh! In a small mixing bowl, whisk together the lemon juice, Dijon mustard and chopped parsley. 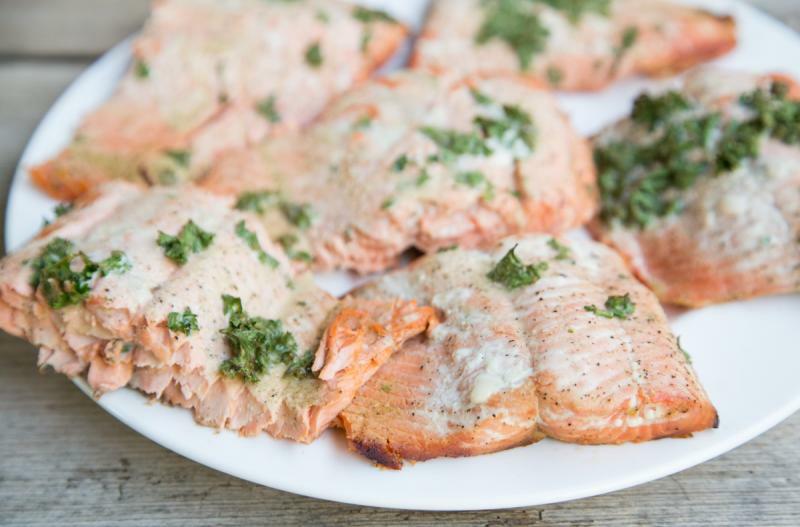 Place the salmon fillet or pieces into small baking dish and pour the lemon marinade over the top. Sprinkle with salt and pepper. 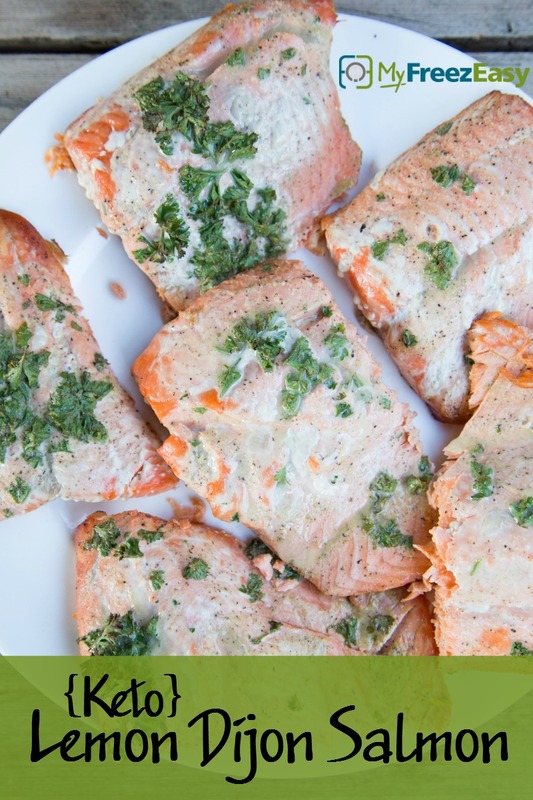 Bake in the preheated oven for 15 to 20 minutes, or until salmon is flaky and cooked through. Serve Lemon Dijon Salmon with cauliflower rice and salad. Cut salmon into 4 pieces, if needed. In a small mixing bowl, whisk together 1/2 cup lemon juice, 2 Tbsp Dijon mustard and 2 Tbsp chopped parsley. Put baggie in the freezer and freeze up to 6 months in fridge freezer or 12 months in a deep freezer. Thaw completely in the fridge overnight, or a warm bowl of water for about 20 minutes, before transferring to baking dish and baking at 400 F for 15 to 20 minutes. Thaw and bake at 400 F for 15 to 20 minutes, or until salmon is cooked through. Serve with cauliflower rice and side salad.